anatole france – Quite a Quote! —Anatole France, novelist, essayist, Nobel laureate (16 Apr 1844-1924). Never lend books — nobody ever returns them; the only books I have in my library are those which people have lent me. -Anatole France, novelist, essayist, Nobel laureate (16 Apr 1844-1924). 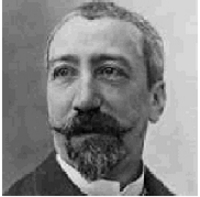 Anatole France: Why are men cruel? It is the certainty that they possess the truth that makes men cruel. -Anatole France, novelist, essayist, Nobel laureate (1844-1924).